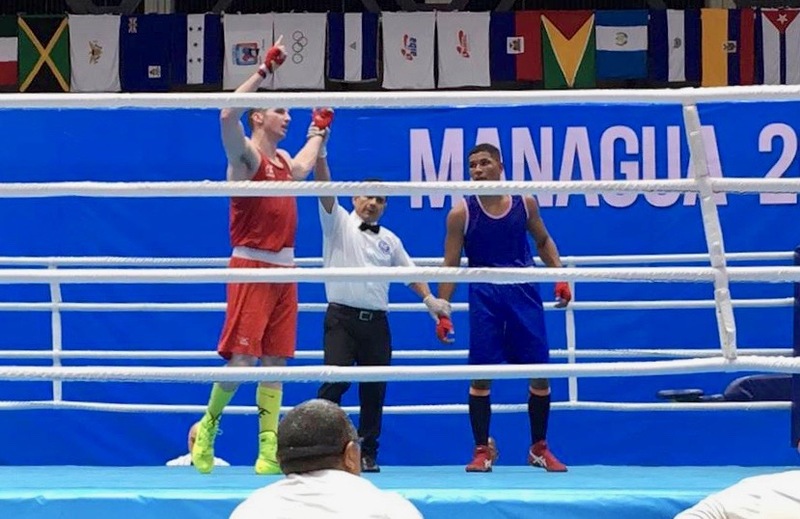 Day 2 of the AMBC Pan Am Games Qualifiers showcased many well-contested bouts as boxers aimed to advance further in the competition. While the preliminary phase is being finalized, the quarterfinals are set to begin on April 6. Over the course of the day, Justin Parina, Wyatt Sanford, Harley-David O’Reilly and Sabrina Aubin are the 4 Canadian athletes that attempted to reach the next stage of the tournament. Justin’s first bout was a hard challenge from the start as he faced Rodriguo Marte from Dominican Republic. The pair had previously faced each other during the 2019 Independence Cup, a tournament where Marte ultimately was victorious. Although his opponent was tough, Parina boxed a great match and showed good perseverance and grit. Unfortunately, Justin lost his bout by a unanimous decision. Wyatt faced one of Brazil’s best boxers in his preliminary fight, Luiz da Silva. Both boxers proved to be resilient in a well-fought, but Wyatt fell short to the Brazilian with a split decision of 4-1 that went to his opponent. Although he lost, Wyatt is keeping his head up and staying mentally ready for the rest of the boxing season. In Harley’s first bout, he faced Colombian boxer Diego Motoa. The Canadian proved to be the better fighter, winning his bout with a score of 4-1. O’Reilly set the pace of the match and proved to be comfortable and composed until the end. O’Reilly is set to fight Dominican fighter Luis Georges in quarterfinals tomorrow. This is the second bout they will have, and Harley is confident he will come out with the win. Sabrina came out of her first Qualifiers match in great fashion with a convincing unanimous decision against Paraguayan boxer Montiel Minerva. Right at the start of the bout, Aubin put emphasis on the pace and tone she wants to set in every round of the tournament. She was able to be herself and control the fight. Sabrina’s goal of winning is clear, she is confident in her capabilities. This victory set her for a quarterfinal match tonight, best of luck in her next bout. Myriam Da Silva and Nickenson Denis will make their debut later today, a victory would mean advancing to the top 8 of their respective categories. Both Irene Fiolek and Tammara Thibeault have yet to make their debut in the quarterfinals as they received 1st round byes. Irene will face Maria Palacios (ECU) on April 7th. Tammara will face Flavia Teresa (BRA) on the same date. Finally, Bryan Colwell and Sabrina Aubin will engage in their quarterfinal matches tonight. The Day 3 bouts will begin later tonight. For all information regarding the competition (schedule, results, draw sheets, etc), consult Boxing Canada’s event webpage throughout the tournament. All the best to Team Canada’s pugilists.